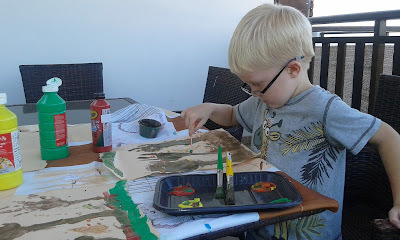 A few weeks ago Louka and I were unusually home alone as Leo had gone to play with a school friend, unused to being without his brother he was a bit sad about not being able to go too so I decided to cheer him up by getting the paints out and giving him something to create. I remembered that Leo and I had created Autumn trees several years ago so I decided to recycle the same idea! 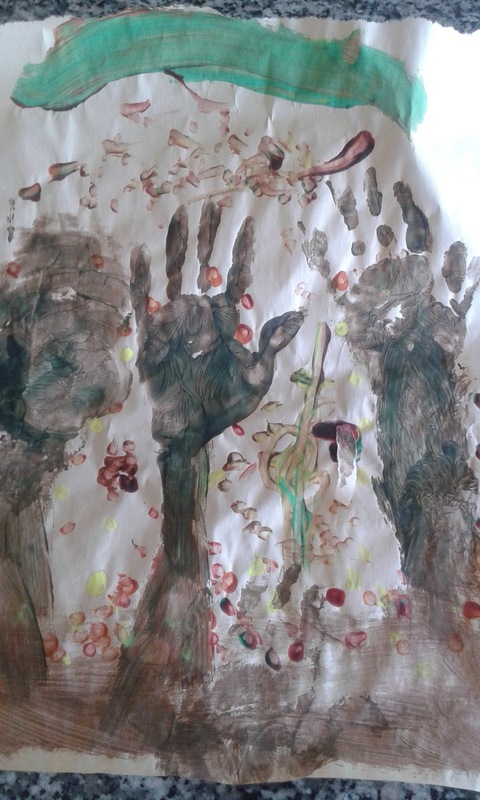 Louka was very impressed to be told we would be painting our arms and hands to use as the tree, of course he wanted me to do it as well and I think his favourite part of the activity was painting me! 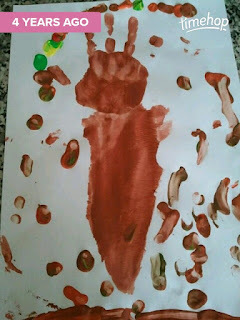 For the leaves I gave him the choice of cotton buds as well as paint brushes, and I showed him how to make a bigger selection of autumn colours by mixing the paint that we had. I only took one photo which is rare for me but we both enjoyed the fact I put the camera down and got stuck into the paints! 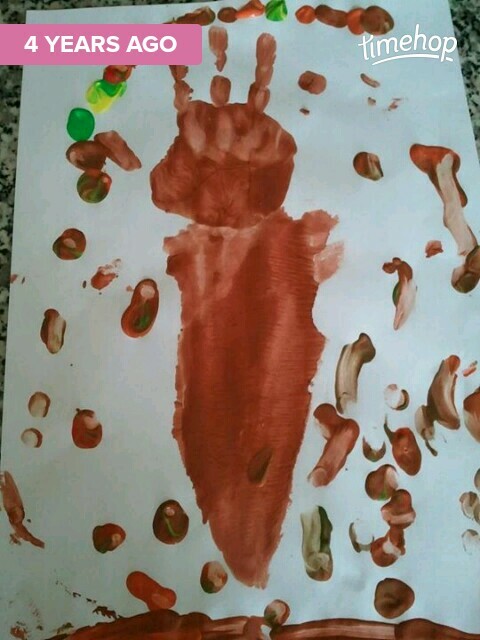 He carried on for quite a while, asking for several more bits of paper and happily mixing colours. He kept going longer than I think he would normally do if Leo was joining in too. It was nice just having some time with Louka and I realised its a very rare occurance. The following day Leo's autumn tree came up in timehop from 4 years ago!